Hello! 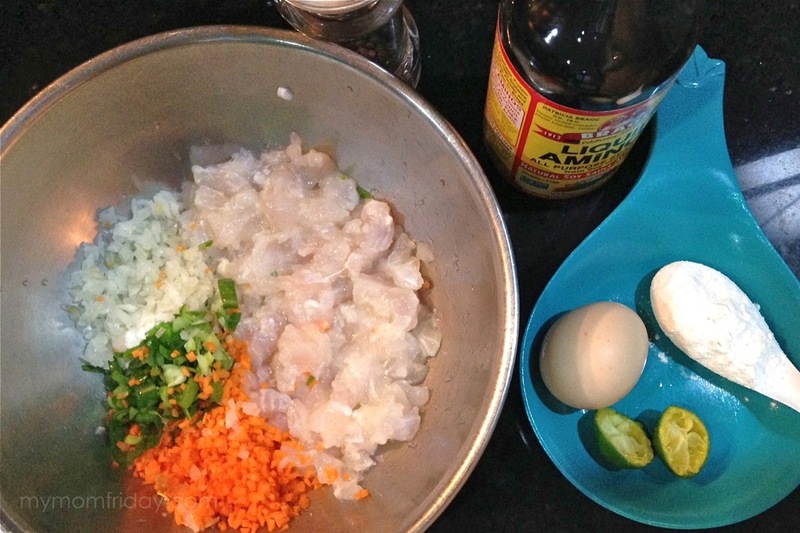 I'm back from my Holy Week blog break and with an easy-peasy recipe for this month's Foodie Friday. 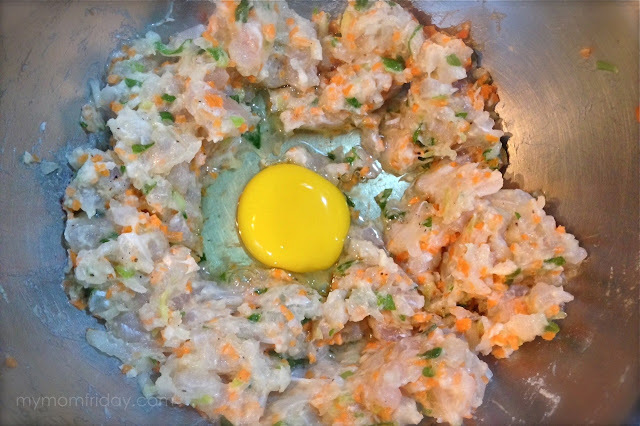 I got inspired by this dish from fellow blogging mama, Levy. She posted a photo of her fish cakes on Instagram and I immediately asked for the recipe. Since I wasn't inspired to experiment in the kitchen lately, I thought I'd try out simple dishes I spot on IG and FB. 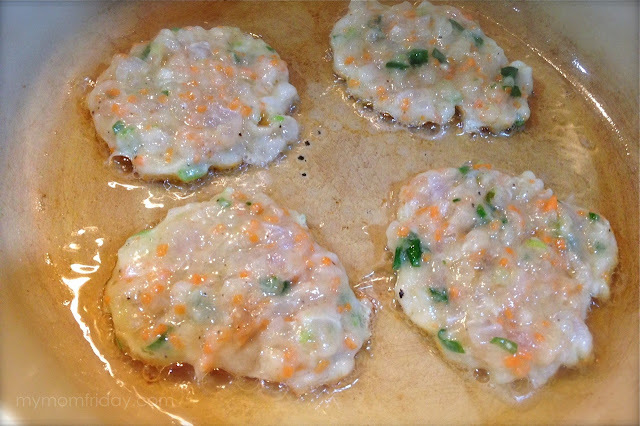 We got tired of our usual crispy panko fish fillet, and since it was Lent, I decided to cook fish cakes last week. If you look at the comment section of her IG post below, Levy generously shared her recipe after I asked her. It's very easy and simple, and naturally, I was stoked to try it. I made my own version based on what I already have in my kitchen at that time -- sole fillet, leeks, sesame oil, and sweet chili sauce. Thus, the oriental twist. This was my first time to make fish cakes, and definitely won't be the last since the family loved it! In a bowl, mix all the chopped ingredients and all seasonings. Add the flour and corn starch. Mix well before adding the egg to bind all the ingredients. Use any large serving spoon or cooking utensil to scoop and gently lay patty in the pan. Fry until golden for about 2-3 minutes on each side, longer if your patty is thick. Drain on paper towels to absorb excess oil before serving. Plate and serve immediately. Taste great with sweet chili sauce. You can do this in just 30 minutes or less. The chopping part always takes more time than actual cooking! Levy's recipe included potato, but I didn't have any at the time I made this. I'll add some in my next batch, but I know it will have to be cooked longer. 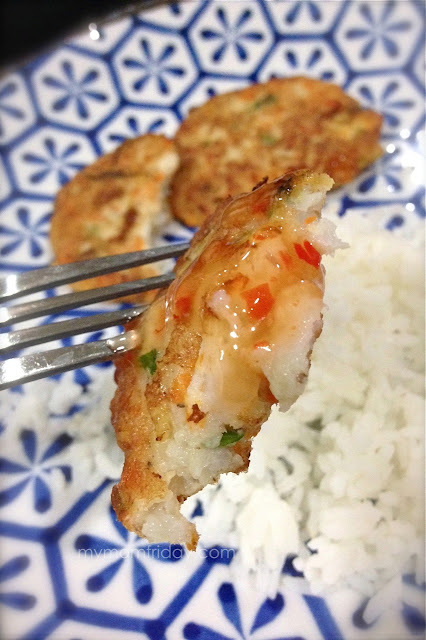 I will also try this recipe with shrimps = Shrimp Cakes! 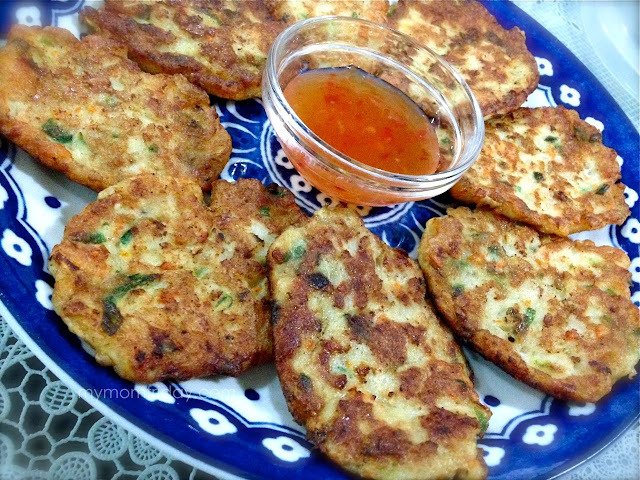 These fish cakes are so, so good with rice. If you're up to it, try having the fish cake in a burger bun with mayo or sandwich spread. This dish is kid-approved too, so go try it!